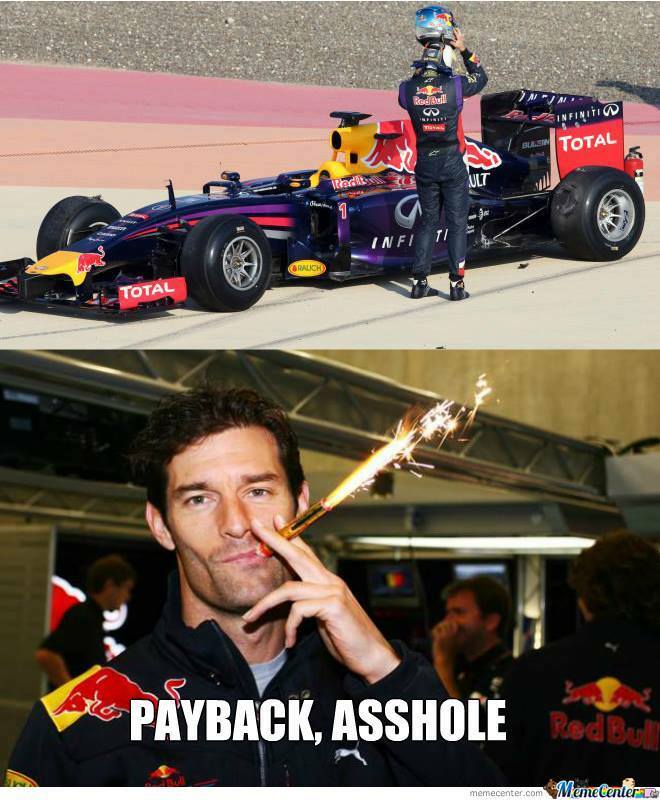 Mark Webber has been following the Bahrain testing closely and when asked had this to say. CNBC’s Brian Sullivan tours the new F1 facility in Sochi that will host the 2014 Russian Grand Prix, the first Formula 1 race in Russia in more than 100 years. We will be adding pictures of the last day of the Bahrain test in the gallery below throughout the day. Williams announced this morning that they have appointment Brazilian, Felipe Nasr, to the position of Test and Reserve Driver for the 2014 season. In his role Nasr will attend all Grands Prix during the 2014 season and take to the wheel of the Williams Mercedes FW36 in three tests and five FP1 sessions. This will be combined with factory based work in the team’s simulator to support the continued development of the team’s cars. The rookies are learning. Rather than just being decorated with the tag of test and reserve driver, Nasr is certain to receive track time. Nasr began karting in Brazil at the age of seven and won several titles before making his open wheel racing debut in 2008 in the final round of the Formula BMW Americas season. For 2009 he moved to Europe and competed in the Formula BMW Championship, claiming the title in his first season with seven wins in 16 starts. In 2010 and 2011 he competed in the British Formula Three Championship, finishing in 5th position in his first year and claiming the title in 2011 after securing seven wins. 2012 saw Felipe move to the GP2 Championship with DAMS where he finished the championship as the second highest placed rookie and in tenth place overall. That year he also competed in the Daytona 24 Hour, finishing third overall with Michael Shanks Racing. 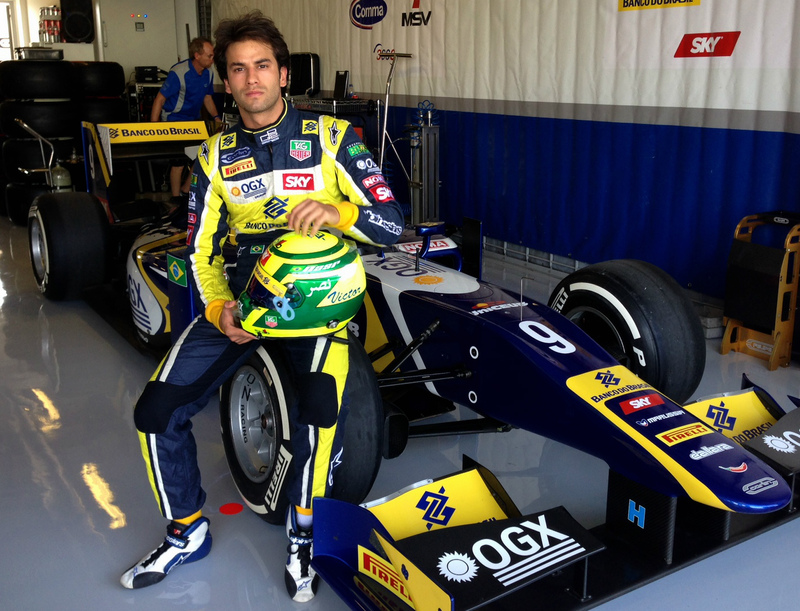 Last year Nasr joined Carlin Motorsport, finishing in 4th place in the GP2 Championship. Sir Frank Williams added, “Felipe has a strong track record of success in his career so far and we have been watching him closely for a while. We have a track record at Williams of bringing through new talent and giving them a chance to show what they can do on the world’s biggest stage. Williams also took the opportunity to announce a new partnership agreement with Banco do Brasil, Brazil’s largest financial institution. 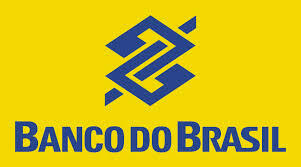 The Banco do Brasil logo will appear on the engine cover of the Williams Mercedes FW36, the overalls worn by each driver, and the kit worn by team personnel during the 2014 FIA Formula One World Championship season. I’m cautiously optimistic for Williams this year. I really rate Pat S and think they will be on an upward trajectory from this point forward. Yeah I really rate Pat S too. He can help pull cars up way higher than they should be through good strategy and slick timing. Just look at what he managed in Singapore 08 with Alonso in the Renault. He got that car from near the back of the grid to first place with speedy thinking and on-the-ball tactics. What a win! Really top shelf bloke. Yea, ScudMc its desperate mainly cause the rest of the grid are so honest…..oh wait. I am sure the other teams and men have less than honest moments in terms of stretching regulations, politics and finances. And probably many other areas of espionage etc. BUT surely you don’t equate deliberately orchestrating a car accident and fixing a race result (not just intra-team order driver swaps) the same as the other above mentioned. It’s like night and day. They are not even on the same planet. You show some integrity in your comments, surely you can see that. Briatore and Pat, in equal measure, didn’t just step over the line but obliterated it entirely. To put Marshals, spectators and drivers lives in any ‘extra’ danger is not the same. We can speculate the extra danger level increase, but either way it was needless for those who were exposed to it, so Renault and Samurai could sneak a undeserved fixed win. Flexi floors, espionage, gearbox openings etc are not the same. I’m glad to see Williams are back to getting a good range of top quality sponsors along with proper technical direction with Pat Simmons. Hats off to Claire Williams methinks. Don’t slag the Brazilians for organising a few dollars more either. Piquet was a dab hand at this too 40 years ago with Santol and Prema on Bernie’s Brabhams. Parmalats enthusiam for throwing money at Bernie was also matched by their enthusiasm to sell spam to our South American samba loving buddies too…I won’t comment on the lovely Susie Wolfs position in the team other than that Toto has yet to find a victim for his shareholding! He’ll make a packet on this like he does with most other things on the back of their new found financial mega backing. Dave Coen, I can’t believe your comment has received one 1 up-thumb (the one I just gave it). Utterly brilliant, especially the dig at Toto [There’s No Place Like Home]! This year is Williams’ chance to break the downward cycle. They have some good sponsors (therefore money), good drivers, the engine to have and a solid engineering team again. Lets hope they turn that into good results which attracts more sponsors and TV money from Mr E to develop the car to move them up the grid. Merc now less than a second from last year’s pole. This year’s cars look to to have the potential to be very quick over a single lap – but it’s noticeable that all the really fast laps have followed really slow ones, which suggests that they have to build up the energy store in the prior lap. Just following on from your comment that the 2014 cars are now much closer to the best pace of 2013, lots of folks are also saying the sound of the cars is great, too. Very different than 2013 but much more complex and textured, and while I’ve not heard one in person obviously, just listening to Lewis stall his machine on the first day of testing, I was really excited by the variety of spaceship-like noises that came w/ the unintentional powering-down. I wonder what Bernie really objected to when he protested against the lack of ear-splitting wail, b/c making your ears bleed isn’t the only indication of interesting, engaging sound!? I actually prefer the sound. Not having lost my hearing in the meantime, the new powertrains are quite loud enough for me. I suspect it’s the hearing damaged, who can only sense the ‘true’ F1 sound through their vibrating sternums, who really regret the old engines. Tell that to the music industry, Joe! So much music is mastered way too hot nowadays.. crushed in fact.. but the human ear perceives volume by average sound level rather than using peaks and troughs (dynamics). Roughly, more volume = more stimulation and being more impressed on first listening. Hence the F1 V10 engine sensation.. or getting sick of modern music in record time (ear fatigue induced by sustained loudness). But now in F1, we will hear more detail, rather than rush for the earplugs.. I still think a full F1 field is the loudest thing I’ve ever heard..
Ha, once had a colleague whose theory on the ever expanding size of orchestras tracks this line of thought exactly. Historically size increased as the backdrop to ordinary life became noisier as well. Can you imagine hearing Beethoven for the first time when the loudest thing you’d ever heard in your life was Frau Schmidt’s cart clopping down the lane? It must have been staggering. Only those who had experienced battle would have ever heard anything close to as loud. IT must have been as overwhelming as wandering into a Gothic cathedral for the first time after spending your whole life living in a smoky ill lit room with your entire family. Very happy to see another brazillian in F1. We created a lot of expectation about Nasr, a shame that his last years in GP2 were not good, maybe if the movement was toward the WSR things would have been different. Personally, I believe in the potential development of this driver, Nasr can be a future star. Inside brazillian F1 public (not general public that supports everyone with a green yellow flag), Massa is not a ‘loved’ guy. And the ‘faster-than-you’ episode destroyied the rest of love that people had. May this year changes a little bit his image with brazillian F1 audience. Hi Will – I’m just curious about what you write here. I understand you’re Brasilian so maybe English not your first language, hence why I’m confused. You’re talking about the incident where Ferrari used team orders to demote Massa – are you saying that Felipe’s acceptance of the team order that day destroyed “the love” that “people” had for him [Felipe]?? Or the love they had for Ferrari? Or…? Or was it that the episode revealed that Massa was no longer a champion driver b/c it revealed he could not match Alonso’s pace? Or just that he lacked a champion’s character, b/c he was willing to accept being pushed around by Scuderia? Please feel free to respond in grammatically-correct Portuguese, if necessary, to augment your English. It was been seen to be giving up that did it Joe. The Brazilians love Senna / piquet (nelson) type F1 characters who would say a massive F you to orders like that. I believe it was very unfair on Massa, he suffered a ridiculous amount of abuse over it, and I believe this really affected him. Probably more than the ‘Fernando is faster than you’ order. If he gets his mojo back at Williams he is capable of doing some damage. Show him a little love, like he had at Sauber, and he really flys…. will – I really enjoy that you share some Brazilian insights here. In just over a week I would’ve thought…! March can’t get here soon enough for you? Please allow those of us who are enjoying the over-the-top love for Webber to see out the month of Webbuary. After all, it only comes once per year! I’m loving Webbuary, glad I suggested it in the first place!! You mean we get to do it every year? Awesome! Good for Williams. They’ve had a tremendous sponsorship off-season by the looks of it. Although i’m neither a sexist nor a misogynist, I totally didn’t think Claire Williams up to the task put before her last year (2013). I very distinctly recall an interview she did for James Allen’s podcast, and also Sir Frank’s comments as well, where it was said that the only measure of her success or failure would be if she sufficiently increased the team’s budget by securing better, richer sponsorships. I didn’t think she could do it, which was a very foolish and unfair manner of thinking about her professional competencies. She’s clearly very capable and I really hope that these sponsorships are as lucrative as they appear to the untrained eye and that they make possible Williams’ return to competitiveness on a consistent basis. I envy Bernie’s wealth and ability to exercise near dictatorial power, even when he was under sustained legal attack, but I’ll never respect the guy after he forced-out Adam Parr by threatening to harm Williams F1 team unless he resigned. Truly a despicable man, Ecclestone. The antithesis of Williams Sr. and his daughter, it would seem. Classly, honourable and courageous words Joe. A real man takes responsibility for his words and actions. Its not the first time you’ve done it either, and over things with a much greater impact on you for doing so. Kudos to you sir, your a good man. Indeed, I had a similar thought at the start.. but I suppose it stems from us not knowing what she had done within the team before rising to prominence. The PDVSA deal was a masterstroke by Williams.. Claire may have had a hand in that, or maybe Adam Parr. Now, they have some sort of severance from PDVSA, a new deal with Massa and Brazilian sponsorships, Martini title sponsorship (didn’t see that one coming), and a paying 3rd driver who is also a real prospect (with Susie there for helping women and equality measures in the background) – which indicates the Brazilians are on board for the long term. Think Massa to Nasr, as a gradual transition, or to replace Bottas if he is pinched by a faster team. Nasr will get a proper F1 development with Williams too, like Bottas did in 2012 (forgoing a GP2 title shot to do so). Yes that’s the photo. Don’t know why it didn’t show in my comment. … Nice subtle way to take a swipe at Barrichello! Ron Dennis will ‘break the silence’ at same time Williams will show its Martini livery. I thought Honda paid to keep car sponsor free? His honour reported on this previously. Can only find reference to Ron’s speak, nothing about sponsor reveal. Figure we’re going to hear about where Martin’s holidaying /carrying out his gardening leave. Really looking forward to hearing when Sammy starts his, gardening leave that is….